A huge, and very old, apple tree stands in allotment three. After everyone had taken fruit for pies, crumbles and eating fresh we still had heaps of fallen apples. 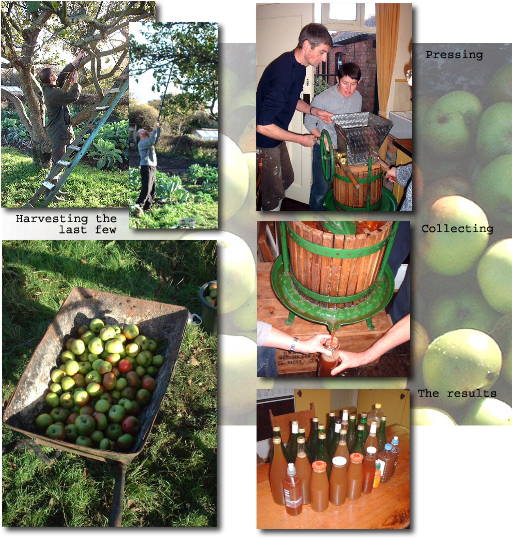 A fruit press was hired for a day and the last barrows of apples were pressed into sweet juice. Some of this was consumed in the next few days, some made into apple syrup and some frozen.